could curve into a smartwatch, according to company renderings and patent image filings obtained by CNET. One tablet has a display that folds inward, like a clamshell, while the other has a display on the outside, like the Royole Flexpai. The smartphones, meanwhile, also have two variants that fold on the inside and outside, but they bend at the horizontal line, like a traditional flip phone. The last phone appears to be tall and skinny and able to curve into a cuff around a wrist. None share the same design as Samsung's foldable phone. The images underscore the industry's growing interest in foldable devices, which is seen as the next major leap in phone design and a way to get us interested in phones again. People are holding onto their smartphones longer than before, and it's getting harder to justify a pricey upgrade given the relatively minor tweaks made every year. The hope is that foldables can change that and introduce a new way of interacting with electronics. 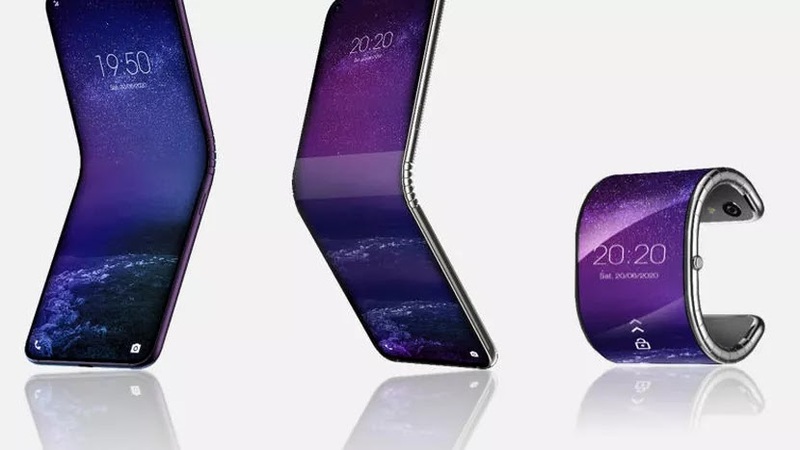 that the company will release its first foldable device in 2020. At the time, it was unclear just what kind of device it would be, since the company makes so many different ones. "It's not just smartphones," said Stefan Streit, TCL's general manager of global marketing, said in an interview at CES, adding that other consumer products like wearables, home appliances and TVs could also benefit from the new foldable technology. One of the renderings seen by CNET show devices that fold with a Surface Book-like gap in the middle. There's little else known about these devices. The company is among the top players in televisions, but has a lower profile when it comes to phones. It struck a licensing deal with BlackBerry to make productivity-focused phones, and has itself licensed out the Palm name to a startup that's made a bizarre tiny phone that's a companion for your main phone. The company is hoping to build up its name recognition by jumping on one of the flashiest trends in the industry.